Ava Spirini is a mess. Ever since her best friend Kelly committed suicide, she has felt her own life spiralling out of control. She has been kicked out of school for swearing and yelling at her principal during a whole school assembly, has made some bad decisions regarding her friendship/relationship with Kelly’s older brother Lincoln, and constantly feels an underlying sadness, helplessness and rage brought on by Kelly’s death. The only constants in her life at this point are her father, who has always supported her and been by her side, and her part-time job at Magic Kebab. Moving along a parallel path to Ava is Gideon. Although he has been attending the same school as Ava for four years, he is virtually a nobody- the skinny and shy kid that people see around but don’t really know. He enjoys listening to his vinyl record collection and creating poetry, as a way of easing his general state of anxiety. While he has a great group of friends from his drama class, and lots of love and support from his older sister Annie and two mums, he has had a hard time dealing with bullies in the past, and has resorted to extreme measures to find an escape from the pain. When Gideon lands a job working as a dishie at Magic Kebab, he and Ava’s lives are unexpectedly thrown together. They form a tentative friendship, and find that they have more in common than they would expect. As their friendship grows and they learn more about each other, they start to realise that Ava’s grief and Gideon’s demons can be managed better when they’re together. But can they really help each other move forward in their lives? Or is their relationship only a product of their current circumstances? This debut Australian novel is both raw and honest, bringing readers into the lives of two ‘broken’ teens. The characters are brilliantly written, and you can’t help but get drawn into their stories- the anger and grief that Ava experiences is realistic, as is Gideon’s emotional state (especially his confusion regarding girls). The growth of their friendship is equally beautiful, and, thanks to Gideon’s aversion to social media and mobile phone technology, is reminiscent of love stories in moments past, where letters were the only method of communication besides actually seeing someone. The author also deals with the issues of depression, suicide, grief and coping mechanisms, showing that everyone has their own methods of working through these, and, in turn, reflecting that through her characters. This novel won the Text Prize- an annual award given by Text Publishing to the best manuscript written for young readers- in 2016, and it’s easy to see why. 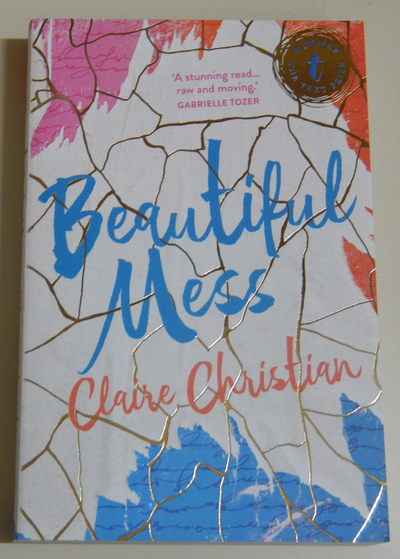 While it couldn’t be classified as a feel-good story, Beautiful Mess is a moving, thought-provoking novel that covers all the ups and downs of life, making it a great read for people of all ages- not just teenagers.